Home News Photo News: Anambra State Government demolishes filling station at Amawbia. 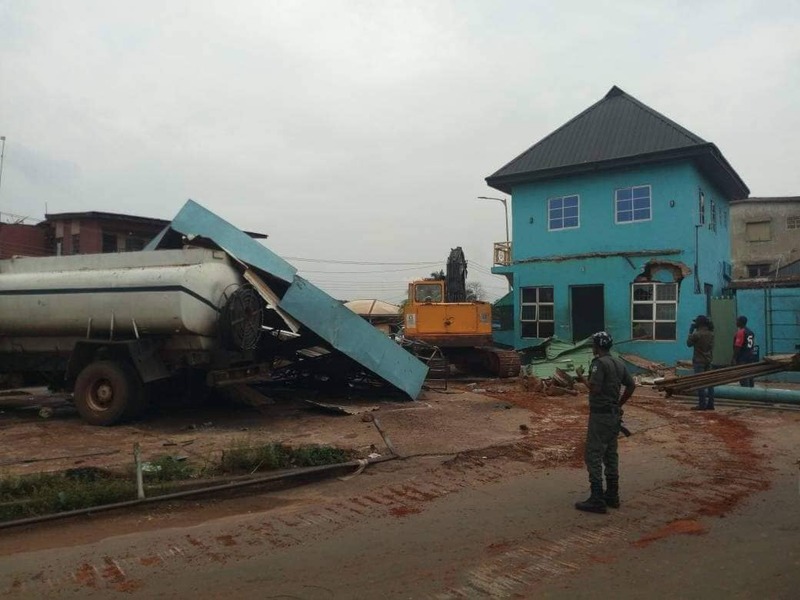 Photo News: Anambra State Government demolishes filling station at Amawbia. The Anambra state government on Tuesday, 31st July demolished an intersecting filling station at Amawbia. 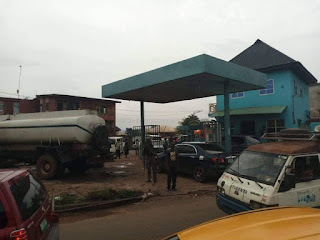 The filling station was located at the intersection between Amawbia bypass and the Old Awka- Onitsha. 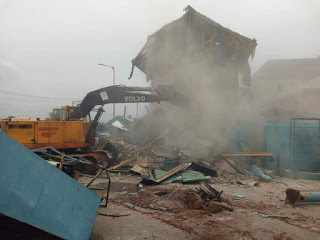 The exercise was jointly supervised by officials of the Awka Capital Territory Development Authority, ACTDA and the State Physical Planning Board with support from men of the Nigeria Police Force. The owner of the filling station, as gathered, had been properly served notice of eviction and offered an alternative location to relocate to. The filling station which situates in a densely populated residential area, poses a threat to the residents in the event of an inferno while also contributing to the gridlock usually experienced at the traffic light end of the Amawbia bypass.